Q: Can you describe your favorite memory at Carver? Kobe: One of my favorite memories is from one of the first times I came here. We were playing five-on-five basketball, girls versus boys, and we just goofed around. We weren’t playing seriously– we were just having fun the whole time, and it was amazing. Kobe: My biggest role models are my two older brothers. They are two different parts of me. The middle brother loves gaming, and my oldest brother loves basketball. He was so obsessed with it that he actually went to college to play basketball! But both of my brothers helped create the person I am now because one of them taught me about gaming and the other taught me about basketball. Kobe: I want to major in electronic engineering. At my elementary school, we had a program where we could do robotics which I loved. That really inspired me to be an electronic engineer. But honestly, I’d love to be a professional basketball player, either overseas or in the NBA. They say that you have a better chance of being struck by lightning than getting into the NBA. But to be able to do what I love at the professional level is a goal for me. Kobe: My biggest dream is to be a professional gamer and own a company that creates games with my brother. Starting a new business will be hard, but I’m willing to work for it. Q: Can you describe an accomplishment that you’re proud of? Kobe: I had high honors for all four quarters last year. Q: What is the most important lesson that Carver has taught you? Kobe: It has taught me that with hard work and dedication, things will work out. The first time I ever played basketball was here. Because of all the practice I’ve had at Carver I’ve been able to play on competitive basketball teams. Q: How would you describe Carver to someone who doesn’t know what it is? Kobe: Honestly, when I first started coming here and people explained to me what Carver was, they didn’t do it justice. They said it was a fun place, but it’s so much more fun than I thought it could be. I never get bored here. You do your homework, you talk, you eat snacks, and you play with your friends. It’s a really good experience. Justin Forde, a senior at Brien McMahon High School and a student who has been a member of Carver’s after school Youth Development Program, received a full athletic scholarship from the University of Miami. Here are his latest high school stats. 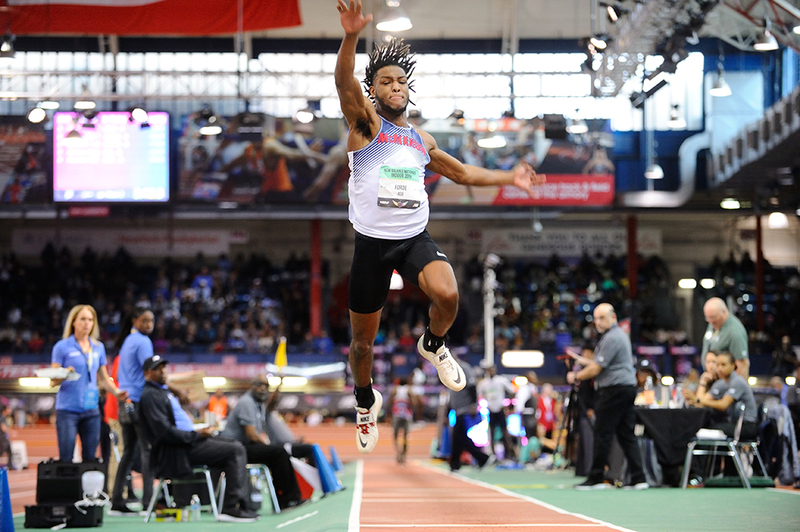 On March 11th, recovering from ankle injuries, Justin competed and won the triple jump competition at New Balance Nationals Indoor with 51-3. Here is an interview with Justin following that victory. At the last outdoor season at the CT State Open, Justin won the triple jump (49-6.5) and second high jump (6-4), and at the Class LL he won the triple jump (48-3.75), won the long jump (22-2.5) and achieved the second high jump (6-4). Here is Justin and school friend Kelete Sherald reporting to Carver readers about what they discovered last year at Villanova University during Carver’s annual Spring College Tour. The Carver community is so proud of its students, and we congratulate Justin on his many academic and athletic achievements as he continues his career at the University of Miami. The Carver community abounds with successful students. Trinity McFadden achievements keep inspiring us all. Trinity is a first-year criminal justice major at the Rochester Institute of Technology. She is among the inaugural group of Maguire Scholars, an academically based scholarship valued at $5,000 per year. This is by no means the first scholarship awarded to Trinity. During her high school years at Brien McMahon High School she won a scholarship to study in Japan with the Center for Global Studies. Upon graduation in 2018, Trinity won many scholarships, including from Carver the DeAndre Parks Scholarship, which is given to the Carver student with the highest GPA. Other awards included the Norwalk Lions Club Scholarship, the Greenfield Everyday Heroes Award, and the BMHS Alumni Association Scholarship. We just learned that Trinity is being recognized at her school’s annual Senior Luncheon. The seniors recognize one student from each class. Trinity also made the Dean's List with a 4.0 GPA, and she was invited to join the school’s Honors Program. Trinity is learning Russian sign language as an elective, and will be traveling to Russia for three weeks in May as part of the curriculum. Years ago, we asked Trinity to write an essay about herself and her experience to date at Carver. Here is what she had to say. Read this and you’ll realize why she is a hero to many of us who know and admire her story. My name is Trinity McFadden and I am a thirteen-year-old, eighth grade student at Ponus Middle School. I started in the Carver C.A.S.P.E.R program in the middle of my fifth grade year; I am now a member of the Junior Youth Development Program. I am a high honors student at Ponus with a 4.0 GPA, which means I have an A average. I am a hard working, intelligent person and my school work is very important to me for many different reasons. In addition to wanting to make my family proud of me, I was born with a progressive hearing loss and, if you listen to me talk, you will notice that I speak with a lisp. When I talk, my tongue does not always move, which at times creates articulation challenges for me. Because of this it makes me a little hesitant whenever I am asked to give a speech. However, I refuse to allow this challenge to interfere with my goals and with my day-to-day functioning inside and outside of school. Having speech and hearing concerns presents its own set of challenges for me, but these issues do not prevent me from pursuing my dreams and working hard in school and achieving. Participating in programs at Carver make me forget about my speech and my hearing issues. At Carver, I am comfortable, everyone knows me, and it’s like a second family to me! The Carver staff and students accept me for who I am and they treat me the same as anyone else; they have high standards and expectations for me, regardless of my hearing and my speech issues. I try very hard to achieve success because I want to be a role model for other students who may have a disability. There are many students who may be deaf, have a hearing loss or are hard of hearing; I want them to know that they can also be successful despite their disability. I work hard at being a confident person to set an example for them as well as for others. The Carver has played a major role in my life. I attended the C.A.S.P.E.R. program, the Junior Youth Development Program and I have also attended the Carver summer camp. 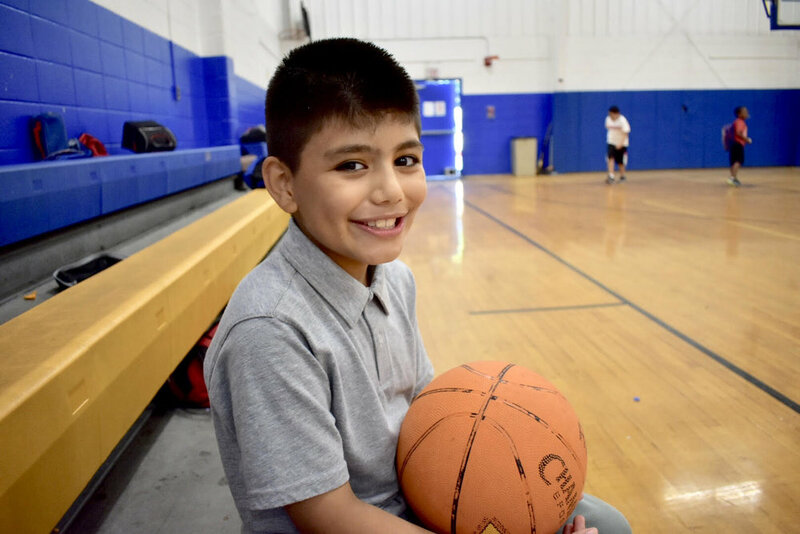 I enjoyed being in the summer program; it was also a big benefit to my parents because they were able to find an affordable summer enrichment plus recreational program for me during the summer months while they worked. While enrolled in C.A.S.P.E.R. I learned Lacrosse, and I received a scholarship to attend Camp New Pond Farm in Ridgefield, CT. I was away from home for a week and we lived on a farm, and got a chance to see and care for the farm animals and eat fresh eggs. It was a great experience and I enjoyed it very much! Carver offers so many programs. For example, I am a member of LEAP, which is an amazing Leadership program, and I am so fortunate to have all of the opportunities Carver provides. I hope that my leadership inspires other students, particularly those with a disability, for many years to come. All these years later, Trinity’s accomplishments and example indeed continue to inspire us all. 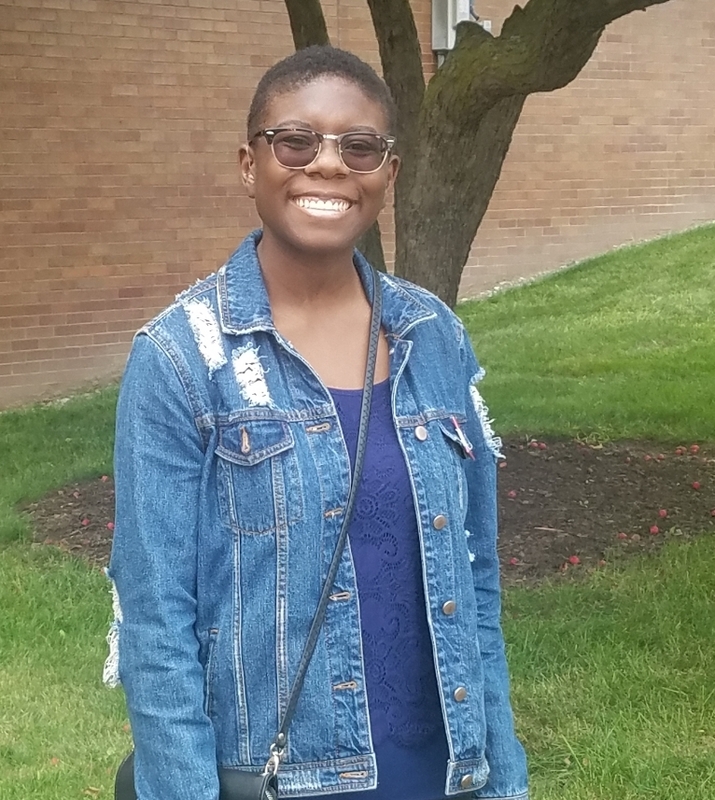 We just learned that Tonie Bennett, who began her experience with Carver in our Youth Development Program at Brien McMahon High School, has been named to the Dean’s List at the University of Hartford. Toni also worked at Carver as a counselor for our Summer Enrichment Program for the past several years. 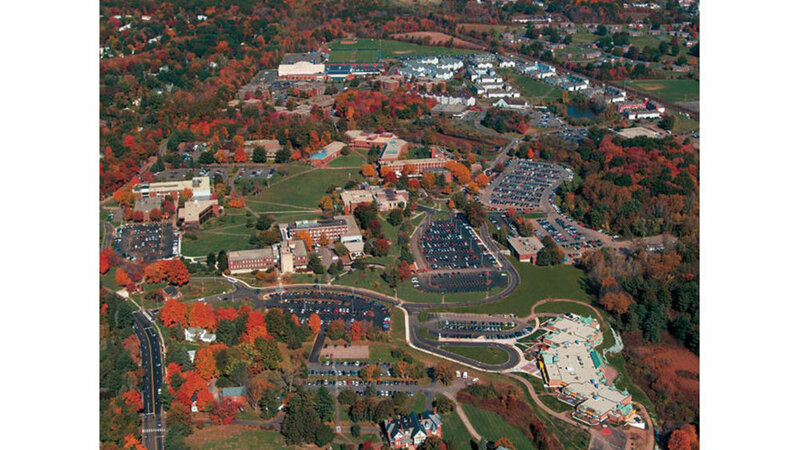 Now in its sixth decade, the University of Hartford sits proudly on a 350-acre main campus that includes parts of Hartford, West Hartford, and Bloomfield, Conn. It provides a beautifully landscaped vista with grassy expanses and wooded areas with a branch of the Park River winding through it. Despite its bucolic setting and relatively small size, UHart offers a dynamic student experience charged with diversity in its programs, activities, and student body. International and U.S. students of color comprise nearly 30 percent of all undergraduates. We are so proud of Tonie and all that she is now accomplishing at the University of Hartford! Baylee Tuner is a sophomore at Norwalk High School. She is a very intelligent young lady, but even more importantly, she is a hard worker with an amazingly positive attitude. She counters a problem and attacks it with all the resources available to her. She is also passionate about always learning something new every day. Baylee has been a member of the Youth Development Program (YDP) at Norwalk High School since September 2018. She is currently taking two honor classes. She has admitted that she’s been improving in all her classes, especially in her sciences classes. Additionally, she is grateful for all the support and appreciation by all the passionate, generous, creative teachers who are part of YDP. She extremely likes that the staff makes the subject more understandable in ways that are fun, and it helps a lot. Outside of the studies, this program has helped her socially and now, Baylee enjoys talking and hanging out with friends from all over the world. In the same way, since she started this program she has experienced interesting activities such as yoga, which has helped her to control her stress along with her ability to spread kindness to the world. She also mentioned her interest in playing sports during her free time with her three siblings. Finally, she hopes to continue with YDP as a very mature young lady who takes school seriously which in turn will help her be very successful in life and in her path toward college. 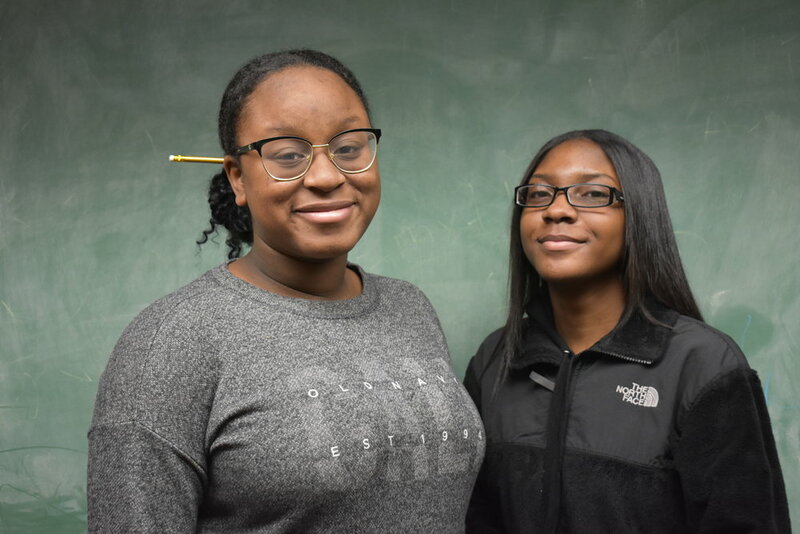 This is the first of a series of interviews with current students and alumni of Carver’s after school program. Carla: I would say how to be a leader. Whenever we’re doing something, instead of stepping back and waiting for someone else to lead, I’ve learned to take charge and become a leader myself in order to get things done. When I was younger, I used to let other people do their thing and I would just follow them, but Carver has helped me learn to take charge and step in to help get things done. Rashida: The most important lesson I’ve learned is that it’s good to help and to give back. This year I worked on Carver’s annual Thanksgiving food drive. I also helped with Christmas present wrapping for Carver’s annual holiday party for hundreds of kids in the community and it made me feel really good. These opportunities and more helped me realize that I want to help people now and when I’m older, and that helped me realize that I want to be a social worker. Q: Describe your favorite memory at Carver? Carla: I would say my favorite memory is my first summer at Carver when I started working here as a counselor during the Carver summer camp. I remember our first field trip was to the Maritime Aquarium and all the kids had a really fun time, so that was definitely one of the highlights of that summer. Rashida: My favorite memory was when we went on a field trip to an amusement park called “It.” It was really fun. Everyone went and I had a great time. Carla: I would say “Miss Erika” because we share the same interests–we both want to be our own bosses and we both want to be entrepreneurs. I want to go into mass media, and she helps me find connections the stuff that I’m interested in and ways to use my talents now while I’m in high school so when I get into the real world I’ll have prior experience. She helps me reach the goals that I want to achieve, but she’s also a good person to talk to and to vent to. When I was applying for college earlier this year, at one point I thought to myself, “I’m not going to get into college so what’s the point? I’m not going to do this anymore.” But Miss Erika helped me to believe that I will get into a college and that my hard work will pay off. It’s motivational pep talks like that which have really made a difference for me. Rashida: Miss Erika is my role model because she always pushes me to do my best and think better of myself. Like Carla, I also thought I wasn’t going to get into college, but Miss Erika has made me believe that I will go to college, even if I don’t get into my top choice. Carla: I want to work in mass media with a concentration in film and television. I want to be something like a producer or an editor, and I also want to minor in design of media such as websites or background sets. It’s something that I like to do in my free time that I would like to do full-time when I grow up. Whenever I have free time I make a little logos and other drawings, and I have a lot of fun doing that. Rashida: I want to be a social worker and maybe work with kids. There’s a social worker here and there’s one at school, and I’d like to do something like that. Q: Describe an accomplishment you’re proud of? Carla: One accomplishment I’m proud of is getting the Student of the Year award each year. Carver gives this award to the student in each grade with the highest GPA. I’m also proud of getting into college. Rashida: I’m proud of finishing my college essay. Q: How has Carver changed your attitude towards school or the future? Carla: The college tour showed me how much I wanted to go to college. Over spring break, we get to see two colleges per day every day for six days, and that really got me excited for college. Rashida: I procrastinate a lot, and Carver has helped me study and get stuff done on time. I’ve learned that even if I don’t have homework it’s good to study. I’ve also learned through my time at Carver that I want to work with kids and I want to give them hope and encourage them. Q: What’s your favorite subject? Carla: My favorite subject is IB (International Baccalaureate) business management. It teaches you how to create a business and what the structure should be and how to keep it going and successful. Rashida: My favorite subject is English. I like to write. Carla: This is going to sound corny, but I’d describe it as a family. The people here are people you can rely on, and the staff are people you can talk to and be open with. If you have a problem they’ll ask you what’s wrong instead of just watching you go through it. Even after you graduate, they’ll still call you up and ask you if you’re doing okay at college. Rashida: You’re right, it is a family. Everyone looks after each other here. Q: What’s your favorite memory at Carver? A: When I was running the high school program, the college tour was my favorite part. That was when I truly connected with the kids. When I first came to Carver, I was worried that some of the kids didn’t trust me. But when we went on the college tour, we really became connected and they started telling me what they wanted to do once they got out of high school and what type of careers they wanted to get into. It was a lot of fun and we really became friends. A: My favorite part of my job is when parents and kids are happy with the progress in school. I love seeing how happy the parents are when their kids are doing better in school. I have some kids who make significant jumps in their reading, and as a result their parents are less stressed. When you see a kid who’s finally picking up on things a bit, and you see how confident they are, it’s a great feeling. Q: How have the kids at Carver impacted you? A: One thing I’ve learned with these kids here is they keep you up to speed with pop culture. You learn what’s in style with the youth. Something that’s cool about this job is that I get a chance to see what kids are talking about– what type of clothing they’re wearing, what type of haircuts they like, or what phrases they use. I get a chance to keep up with what’s going on in young people’s lives in kindergarten all the way up to high school. I learn all of these things by interacting with them, and it’s amazing. A: I always like to talk about Motown Records- this small building in Detroit where artists would go and interact with all these different writers, producers, and actors, and as a result they would emerge as a great artist. They brought out Michael Jackson, Stevie Wonder, and Marvin Gaye. 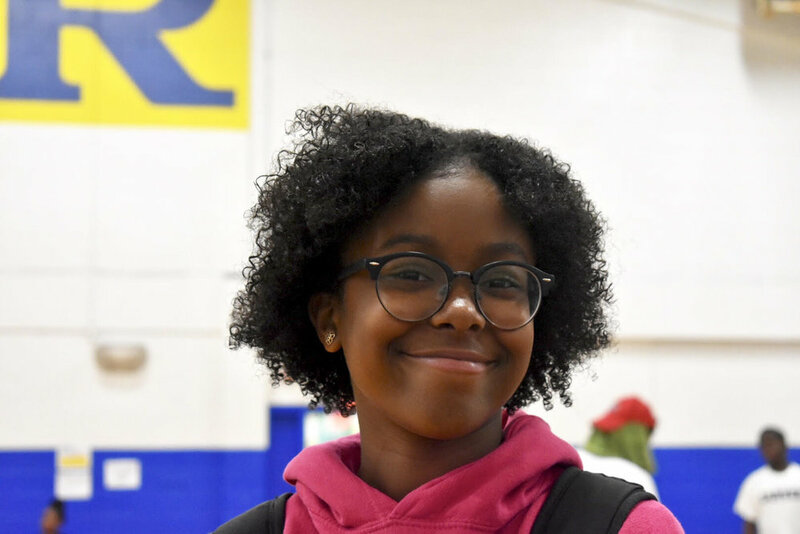 Carver is kind of like Motown-- kids are coming here, they’re working with teachers, the program managers, and volunteers, and as a result, once they graduate high school, they have this great sense of where they want to go and what they want to do. Q: If Carver kids were to take away one thing from their time here, what would you want it to be? A: Confidence. Knowing that people care. If you have a group of people in a place that you know care for you, it gives you confidence. I get kids all the time who ask me for college recommendations because they know that they have someone here who aims to help them. It’s a great feeling for these kids to know that they have somewhere to come back to if they need anything once they go out into the world with lots of unknowns. Carver is an amazing home for kids to have away from their actual home. Q: What are some of the extra-curricular activities for the CASPER kids? A: One of my favorite activities, and the kids’ favorite activities, is going to see the Norwalk Symphony Orchestra. The kids get the chance to see professional musician and learn about different types of instruments, and if they’re really interested, the kids can go to a real concert with their parents at city hall. And that right there is a nice exposure to music at a young age and it helps motivate kids to learn new instruments or to practice more if they already play. Thanksgiving is a great time to reflect and express gratitude for the blessings that we may otherwise overlook in our everyday lives. 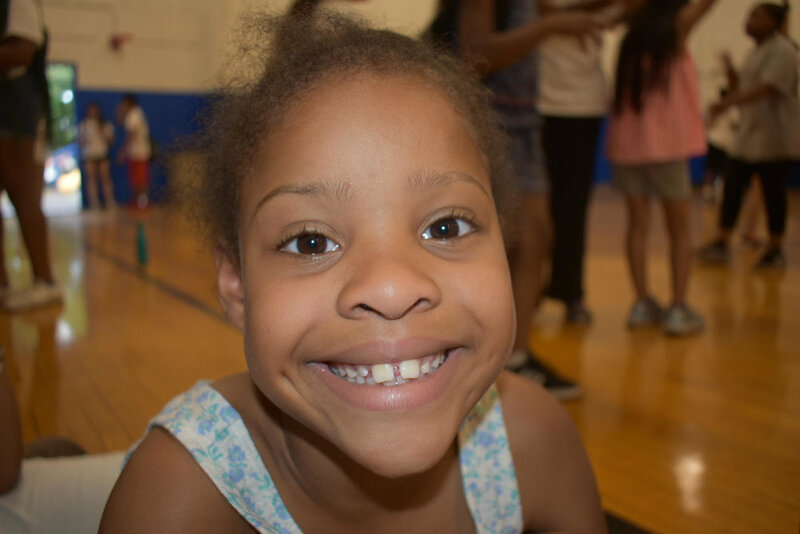 At The Carver Foundation of Norwalk, we are extremely grateful for all of the supporters, donors, volunteers, students, parents, teachers, staff members, and everyone else who plays a role in helping to build lifetime achievers. In the spirit of giving thanks, here is a video of a few Carver students sharing what they’re thankful for. Check it out and see what they have to say! Thank you to everyone playing a part in helping Carver students succeed in school and in life! Meet Gabriella, age 8, the gymnast! 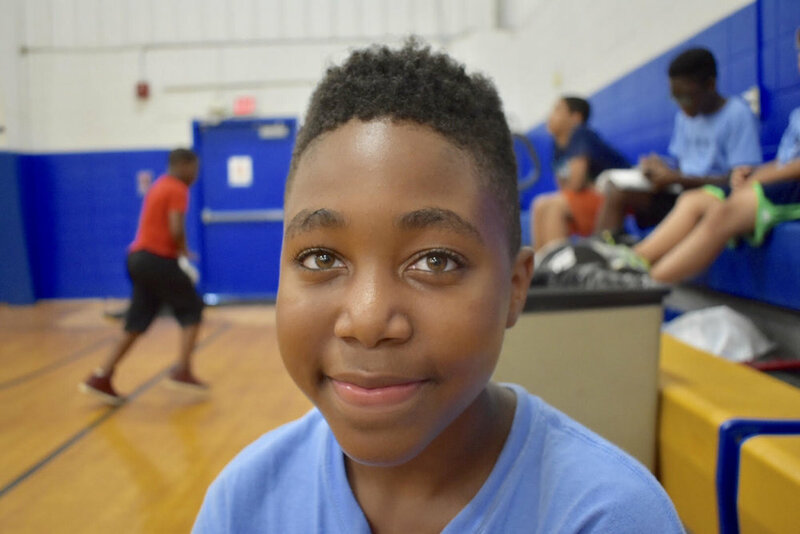 “My favorite memory at Carver was when we went to the Wilton Y to swim for the first time. I made new friends there. I got to hang out with my three best friends. I had never been to a pool at camp before, so it was really fun. We did free practice in the water but we also got tested to see what our levels were. I think all of the kids 7-9 did really well. Even though some of the girls thought they didn't do well, I thought that everyone tried really hard. I liked swimming a lot. I've been in other swimming pools before, but this was my first time going on a field trip at camp to a swimming pool." "My dad is my role model. Whenever I can't do something, my dad tells me to keep practicing and to try my hardest. He encourages me to do better and when I have problems, he always gives me advice. He always faces his problems and he doesn't let fear get in the way. Another role model is a gymnast in the US olympic team named Gabby. She teaches me to work hard." “I want to go to the olympics and be on the USA gymnastics team. I started doing gymnastics when I was 5 and that became my passion. I like gymnastics because you get to be more flexible. Also, most gyms give out medals when people accomplish something. I have two medals. One of them was from 2017, and one is from 2018. My friends Laura, Daniella, and Aniya help me practice gymnastics at Carver." "I want to be famous for being a flexible gymnast." "I'm proud of being independent when I was with my uncle in Maryland and I was far away from my parents for a week. I learned to be fearless, even without my parents' help." "I have a lot of role models– my mom, my grandma, and this Youtuber named Queen Naija. My mom is my role model because she does a lot, and she teaches me how to be a better person. My grandma is my role model because she tells me what to do and what not to do. Queen Naija is my role model because she's really funny, and she is true to herself so she teaches me how to be myself. " “I don't know. I could see myself being an olympic swimmer. I'm not swimming much right now, but I'm getting back into it. I love when we go swimming on Fridays at Carver. When we go to the Y, we get lessons which helps a lot." "To go skydiving. I'm a daring person, and that would be really fun to do with my mom. She said she would do it with me." What is something that you're passionate about? "I like to dance. And I love cheerleading. I also really like gymnastics." "I'm proud of getting honors all four quarters this past school year. At my previous school, I was struggling a lot, but then I got better at my new school. My new school had different resources which helped me, but also I came here after school. I was struggling with math, and Carver provided tutoring for me." 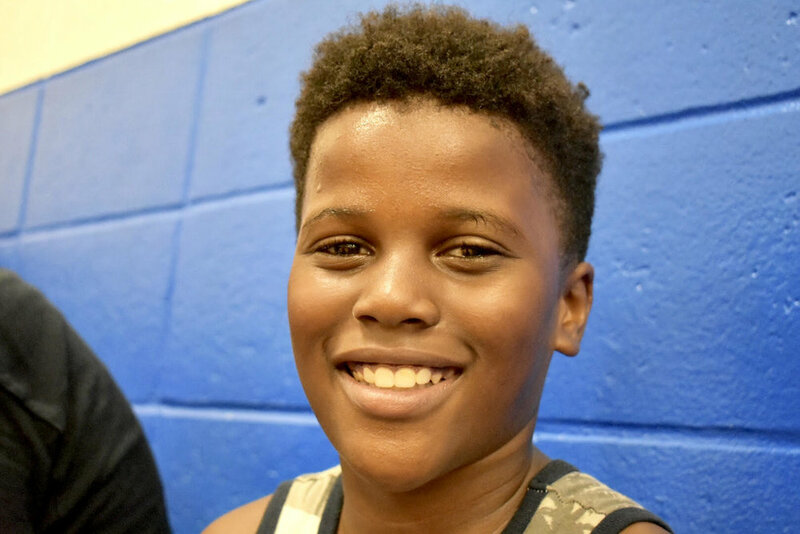 Allen, age 10, learned how to play basketball this summer and wants to be a chef! "My role model is Dr. Martin Luther King because he allowed everybody to come together. If he would have just sat down and watched all of the violence going on, all of us wouldn't be where we are today. " “My number one dream is to be a chef. My grandma and my mom really got me into cooking. I made seafood with my mom, and my grandma taught me how to make macaroni and cheese. I've never cooked by myself before though, because my mom thinks I might set the place on fire." How do you think Carver could help you become a chef? 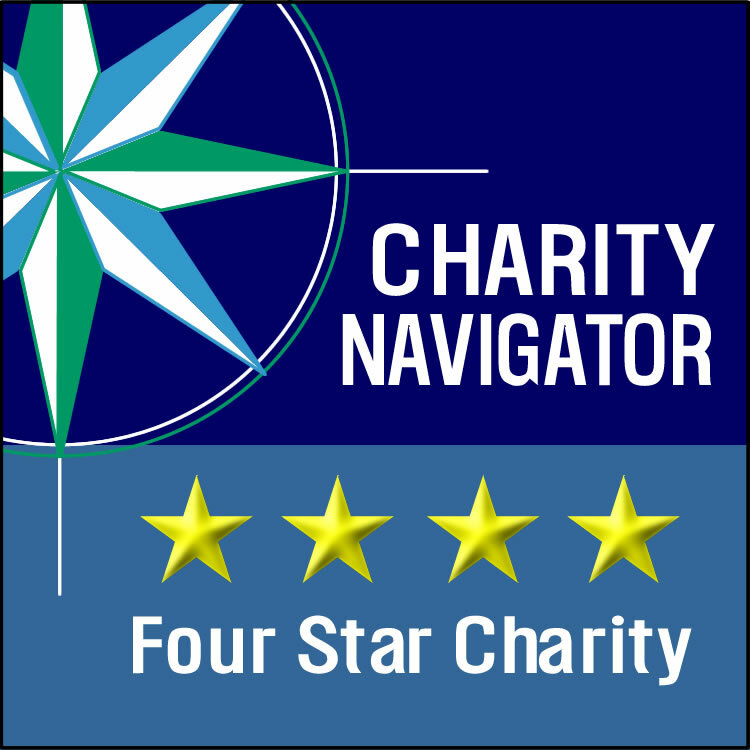 "The staff here are really encouraging. And you also make really good friends here, who will also encourage you." "I also like drawing, especially with my friends. I love drawing Pokémon and people sometimes. Most of the time, I draw in my free time at Carver. " "I'm proud of when I made my first basketball shot. My friends were pushing me to make a shot because I wasn't really a sports kid. I used to stay home and watch TV and play video games. My friends told me to shoot and I did, and I missed a couple of them. But then I shot and I actually made it and I was really happy. I like basketball a lot now. " Andi, age 11, excels at math! "My role model is Gem. He's the best counselor at Carver. When we get free time, he always talks to us. Whenever there are problems, he stays chill. I also like watching soccer games with him. " “I want to be a soccer player. I play soccer at Carver sometimes when we have free time." "I'm proud of never getting an F in school. My favorite subject in school is math because it's the easiest for me and I do the best in math." "At Carver, all of the campers learn and have fun. You learn reading and math, but you also have fun playing outside here." Aiden, age 11, has a dream to score the final goal in the World Cup! “My favorite memory at Carver was when we went to the movie theater to watch The Incredibles 2. I love that movie. It was really great." "My role model is my mom because she's always there for me and she takes care of me. She really loves me." “I want to be a professional soccer player. I play soccer almost every day at Carver. I wanted Colombia to win the World Cup. We have a lot of time to practice soccer skills and drills at Carver. You can just practice by yourself if you want." "To score the last goal in the World Cup." "I used to go to Achieve before this, which is another camp. At Achieve, I won the 'Most Athletic' award, which I'm really proud of." "Carver is really fun. You meet a lot of new people and the counselors are really great. Andi and Gem are my favorite counselors. They're funny and they treat you well. You'll have a great time here." TJ, age 10, is proud to have successfully graduated 5th grade! "My mom is my role model. My mom teaches me how to clean. She really cares about me and she helps me with a lot of things." “I want to be an actor when I grow up. I've done some acting before. I was in a play in preschool, but I forget what it was called. I've done some acting since then at home. Not exactly acting, but we make funny voices and act like different people." "To meet someone very famous. I would meet Tyler 'Ninja' Blevins, a famous Fortnite player." "I'm proud of graduating fifth grade. I graduated last month. It was really fun because we had a party afterwards, and I got a $25 gift card. I'm really excited for middle school." Leandro, age 9, makes his dad proud! “My favorite memory at Carver was my first day here. It was fun because I got to meet new kids and play a lot of basketball and soccer. I made a lot of new friends. I felt happy because I didn't feel lonely. And when I got home, I told my dad about my day. It was fun to tell him everything I did because he was happy that I did so many things." "My role model is Jaden because he's a good basketball player and I want to be a good basketball player. Also, he's my best friend. He makes me laugh." “I wanted to be a policeman, but I changed my mind because during their training, they have to be sprayed with pepper spray, and I don't know if I could stand that. So maybe instead, I'll be like my dad and work in a restaurant– an American Italian restaurant. We would make hot dogs because people love hot dogs. I've never cooked before, so I would be the boss in the restaurant. If someone doesn't know what to do, I'll help them and tell them what to do. I would help everybody and I would tell them to do the right thing." "I want to go to Costa Rica. I've never been there, and I want to see my family that lives there because I've never seen them." What would you want to do in Costa Rica? "Once I get there, I would give a huge hug to everyone in my family that lives there. And maybe my cousins who live there could teach me to play basketball." "In my school, I took an NWEA test, and I got a 217! You do math, reading, and science on this test, and 217 is a really good grade. If you get a 195 or below, you have to go to summer school." Kylie, 5 years old, loves to play tag in the rain! "My role model is my sister, Bailey. She looks so pretty every time I see her. And I like when we play Uno and other card games together. And I like going to the arcade with her and doing karate with her. She's so nice." "To go on a field trip for two days to the arcade. I would play all of the games." "I'm proud of being good at a family party at Grandma Jan's. There were a lot of kids there, and we all acted so good. I even got a cut on my foot, but I was still good. The cut is still on my foot!" "To be a super hero. I want to have x-ray vision." "I'm proud of becoming a better reader. I got better at reading by practicing at school." "It's fun. It's a big building that we have a lot of fun in." Schyler, age 8, wants to be a police officer and a famous artist! “I want to be a police officer and an artist. I like saving people. It sounds fun. And putting the bad guys in jail. And for the artist part, I just want to be famous, because all the artists I know are famous." "I did something really cool– one time, on the playground, I did a flip! I did it on the slide, and I landed it." London, age 12: read about her dreams to be professional dancer and open her own studio, and also to start her own Carver camp! “My favorite memory at Carver is when we go to Lake Compounce. We go on multiple rides, we go swimming, we hang out with our friends, and we get so much to eat. We go on rides that twist you around and rides that go up and down. I love rollercoasters. I don't get scared, but I scream a lot." "My role models are my counselors Ari and Ciara. They teach me so many different things and they're fun. Today, Ciara was helping me in math and Ari helps me sometimes to. I also like dancing with them, and Ciara and I joke around a lot." “I want to be a professional dancer and run my own dance studio. I realized I wanted to be a professional dancer when I was 5. I love to dance. If we keep on doing parents night here, and my counselors keep helping me with my dancing, I think Carver could help me become a professional dancer." "I want to open up another Carver camp. It helps kids make new friends. Most summer camps don't teach you during the summer, but this one does, and I think that's really important. My camp would have lots of field trips like we do at Carver." "I'm proud of passing my test, which meant that I didn't have to go to summer school. I felt nervous while I was taking the test, but I knew that I could do it. I had faith in myself. When I found out I passed the test, I felt really excited. I needed to get a score of 204 on my math test, but I even got a 214!"